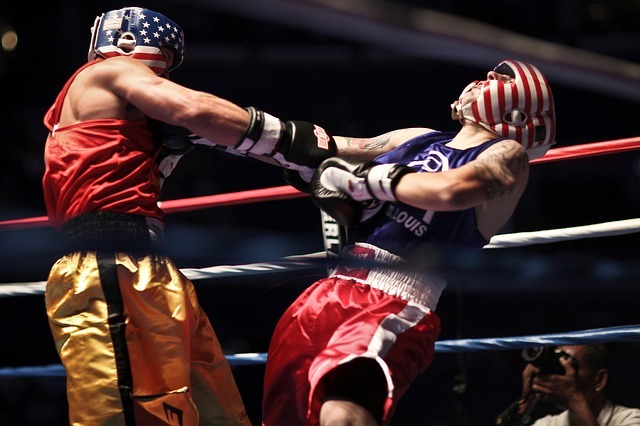 In this article, we will talk about how fantastic boxing can be for a workout, and what benefits you can draw from it. We recommend that you get head protection for boxing, as well as other necessary equipment even when you train without competing, as it’s the first guideline to abide by if you want to remain in perfect health and reap the benefits of your training. Boxing has known increased popularity during recent years due to all-round fitness challenge it provides to people who want to stay in shape and develop their strength. There are many reasons for its fame among those who aren’t aficionados of the sport. While we will break down the various benefits you can draw from this type of training, let’s make a few things clear. Boxing is fun. Aiming your punch at a bag releases energy as no other sport can. Also, it is already scientifically proven that it is a fantastic workout. In case you’ve been on the fence whether to take up boxing or not, here are all the reasons why you should go for it. We cannot emphasize enough the uniqueness of this type of training. Let’s start by giving you a great first incentive. Boxing burns calories much more than any kind of fitness training you might have tried until now. But you don’t have to take our word for it. Here are some numbers. For a man, the total number of calories burned in a one-hour training session can go up to 700-1500 calories. What other sport can do this much? Of course, the style of training and what weights you use matter. But, as a general rule, boxing burns calories like there’s no tomorrow. Boxing is practically made of HIIT, which is the abbreviation for High-Intensity Interval Training. A popular take on fitness training that is increasingly popular all over the world, it consists of bursts of physical challenges, followed by rest periods. It’s the same thing you do when boxing. You throw punches quickly, consuming energy, and sending your heart rate through the roof, and then you rest. Why is this exercise so useful? It has something to do with how the body adapts to the unusual request for energy. To deal with this increased demand, the body will quickly use the energy it can create from the fat storage. In other words, to live up to the challenge, your body will start burning fat. Since this is what you should be aiming for in your training, it’s no wonder boxing is so quickly embraced by fitness enthusiasts everywhere. Cardio is something that gets a lot of hate and love, in equal measures. Some people look forward to every marathon organized in their area and jog every morning to get in shape, and there are those who can’t find something more frustrating and annoying than running. If you belong to the second category, know this. Boxing will provide you with the cardio you need, but without the frustration and annoyance you experience when running. Since many boxing routines involve various types of cardio, you will begin to see why doing this type of exercise can actually be fun. Speaking of benefits, you can’t overlook how great boxing is for your resistance training needs. Of course, you may argue that it is not the same as lifting weights, and it is also true that boxers work on their strength training all the time. But punching a bag gives you an alternative to consider. You will just hit and hit again the bag and, while you do that, the muscles in your upper body get all the benefits expected from resistance training. It’s not just an accidental occurrence that boxers have amazing bodies. This kind of training will give you everything: core training, resistance training, cardio, and HIIT. And the great thing is that you won’t get bored while exercising like this. For someone who has never tried boxing, it may feel like the only part of the body that gets exercised is the upper part. But that’s not true. When you launch to hit the bag, you are getting your entire body involved. More so, if executed properly, boxing routines will involve all the muscles in your body. You will perform explosive moves that will engage your body completely, and that’s why boxing is such a great workout. Not many other sports demand the same amount of energy, strength, and precision as boxing does. We are, in this day and age, victims of various forms of stress. More often than not, we have to live with frustrations, unfulfilled expectations, delays, or just toxic relationships at work. Regardless what the source of your stress is, you will find boxing as a fantastic stress relief. Nothing can feel more rewarding than hitting a bag when the tension inside has risen to unbearable levels. You will feel like a completely different person once you complete a session of punching a bag. All the stress will be gone, and you’ll be able to face a new day. While boxing can be seen as just a way to cultivate physical fitness, it is actually more than that. Landing a punch the right way must be coordinated with the movement of your feet, while you also need to bear in mind a particular technique. All these require you to align your mental fitness with the physical one. You will find yourself thinking faster and more clearly due to the way you are training. While it may not sound like an apparent benefit, boxing cultivates mental fortitude in ways that other fitness training options cannot.